There is less drama to be found in a Telenovela than here in this biography of the extraordinary life of Catherine the Great. It showcases the many forms of human passion against the political backdrop of 18th century Russian government. This is the first book I’ve read by Pulitzer Prize winning author, Robert K. Massie, but I can tell you, I’ll be looking for more of his works. Amid the larger historical context and significance of growing Russian European influence, is a more personal saga of life behind the palace walls. The absurdity of some of the episodes recounted in this book are made all the more absurd by the mere fact that they actually took place. Pride, ambition, despair, jealousy, paranoia, loneliness, conspiracies, love affairs, politics, and murder…this book has it all. In short: History that reads like a novel. 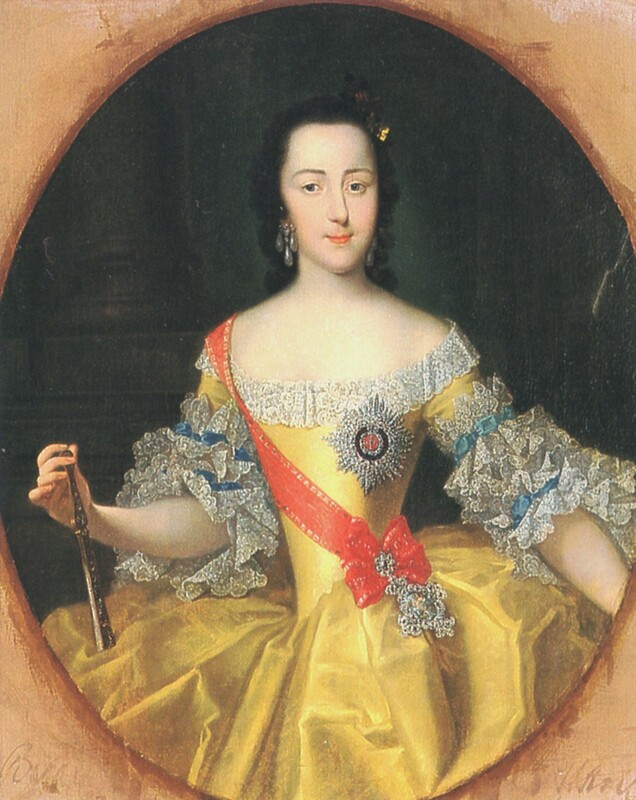 From her humble roots as a lesser German princess, Sophia (as Catherine was born) was unloved by a mother who was crushingly disappointed in her own marriage and determined to make up for it by securing a fortuitous marriage for her daughter. Horrific stage-mom is a better description as she clearly hoped to seek fame and adventure on the coat-tails of her daughter’s success. Catherine’s life became no less fascinating once she reached the thrown but you’ll have to read it for yourself. A special thanks to my mom for recommending it! Thrilled that you’re going to be sharing your book reviews here! I am quite partial to historical fiction + nonfiction genres myself, so it looks like we’ll have a lot in common! I’ve been adding to my gargantuan ‘to-read’ list on Shelfari for the last two years because I’ve been stuck trying to finish all the published Game of Thrones books. When on holiday, I devoured one or two all at once, but when I’m back in the real world, every time I get a chance to read I have to skip back 5-10 pages to remember the details, the character whose story I’m reading, etc. I’d have given up on the books long ago if I truly didn’t love their adventures and tales. About to start the most recently published book tonight, so here’s hoping that I’ll get to some books that have been languishing on my list for, oh…years now?..soon! Haha! The next book I am reading is one that has been on our shelves for years and I have never picked it up! I think it was Andy’s before we were married. We have so many I haven’t even read yet that I may consider making all 12 books we already have. 🙂 We’ll see! Enjoy the last book in your series!! I loved this book too. And shortly after finishing it I found Massie’s Nicholas and Alexandra at Costco. It’s now on my (also lengthy) “to-read” shelf. Reading about the lives of the rich and famous can sometimes help you appreciate your own life a little more. Who’d expect a monarch to live with such unbelievable unhappiness and have so little control of her own life? And I already know the ending of the whole Nicholas and Alexandra saga. No happy ending there. Guess my humdrum life isn’t so bad after all. 🙂 Sometimes living vicariously through the books we read has its advantages! I know, it really struck me how ‘prison-like’ her life was at times. You tend to think life in a palace would be glamorous and carefree. I don’t know that I could have endured the things she did. It was also strange that family members were seen more as a threat to the throne than as a support system. It was so stark of a contrast the way the Empress of Austria brought her son in as co-ruler to help him learn how to lead a country vs. Catherine who saw her son as a threat to her right to the crown. I also thought it was so sad how one persons life could be reduced to prison misery from infancy (Ivan) simply because they were born. Due to circumstances he had no control over (or even awareness of!) the poor guy knew nothing but solitary confinement his whole life! I’ll have to borrow ‘Nicholas and Alexandra’ when you are done!